"And here she is.....and she’s pretty FAB if I do SAY so myself! 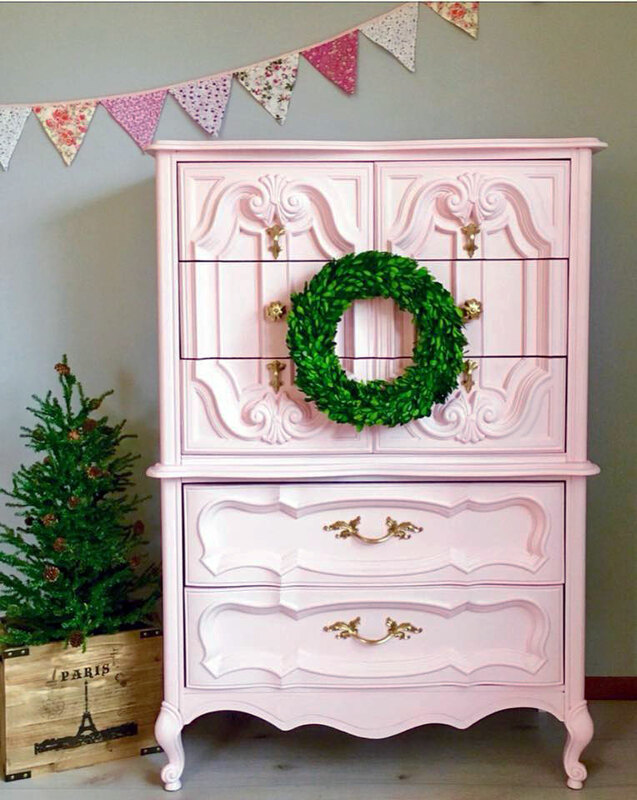 Gorgeous vintage French Provincial solid wood dresser is in flawless condition, and has been hand painted in the palest shade of seashell pink! With beautiful curves and gorgeous original hardware she definitely makes a statement and adds glamour to ANY room!" - Second Chance Studios This color was created with GF Snow White Milk Paint + a touch of Holiday Red Milk Paint.